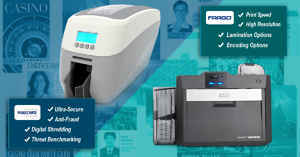 Home » IDSecurityOnline Blog » What is Dye Sublimation Printing? 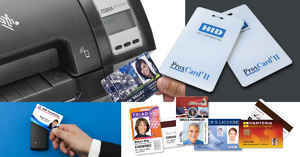 If you want photo-quality printing on your secure ID badges, dye sublimation printing offers high quality, bright colors, and no jagged edges. How Does Dye Sublimation Work? 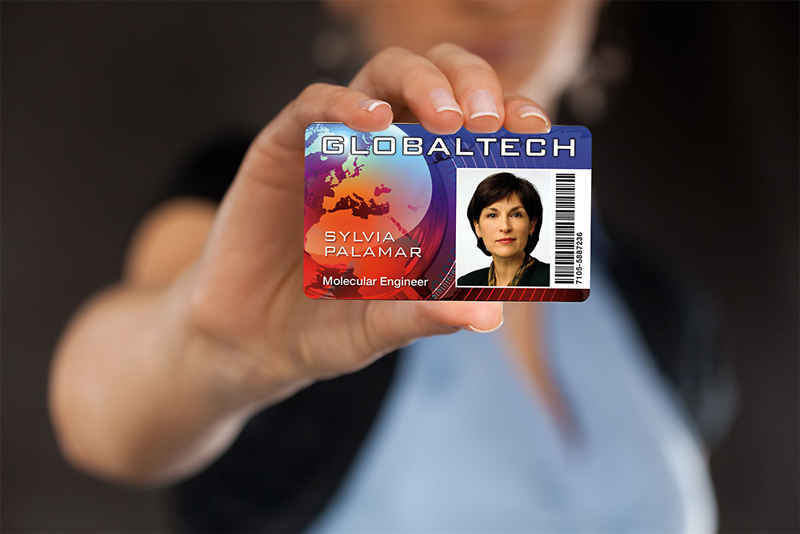 For example, when printing a color headshot of an employee on a photo ID badge, the dye sublimation printer starts with one color and infuses that color from the ribbon onto the card using heat. When enough of the first color has been applied, the print head lifts up, the card moves back, and the next color is printed. The colors�yellow, magenta, and cyan�are combined in a variety of proportions to create photo-quality images. When mixed together like this, these three colors can create any color in the spectrum. In fact, diffusion leads to a high depth of color printed on each card�up to 16 million shades. When each of the colors is used to fully saturate the ID card, black text and graphics are printed, but they are not infrared readable. 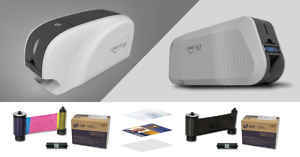 This requires a special section on the dye sublimation ribbon that contains a black resin used for infrared readable bar codes and other data. Finally, an overcoat layer is put on top of each card to act as a protective film for longer life and to reduce UV damage and fading. The color you get from a dye sublimation printer is the direct result of the concerted mixing of the pigment colors to get the exact color. Other printing methods use a series of colored dots to create a color; the dots, when seen from a distance, resemble a color. But when seen close up, the dots are clearly different colors and appear grainy. It usually takes a 1200 dpi printer to get the same resolution you get from a 300 dpi dye sublimation printer. Another difference is in how the color is laid down. In a dye sublimation printer, the color is diffused on the surface of the card, meaning the edges of each pixel are blurred. This gives the impression of blending the colors. In other type printers, the color is laid down in little dots with white gaps in between pixels, which appears as a little grain. Finally, since the dyes sublimate into the card surface instead of just being painted on your ID card, you get a longer life of colorfast quality that resists fading. There are several types of printing, depending on what you need or prefer, in addition to dye sublimation, and each offers distinct advantages and drawbacks. 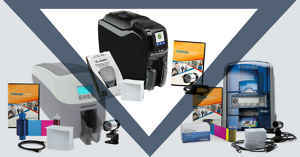 The varieties are thermal, mass transfer printing, direct-to-card, and retransfer printing. 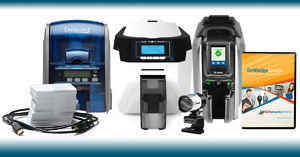 Each type will be covered in other articles, but if you want to understand which type of ID card printer is best for your operation, call one of our experts to discuss your needs.